Taylor Weyeneth is America's number two official in charge of drug policy. 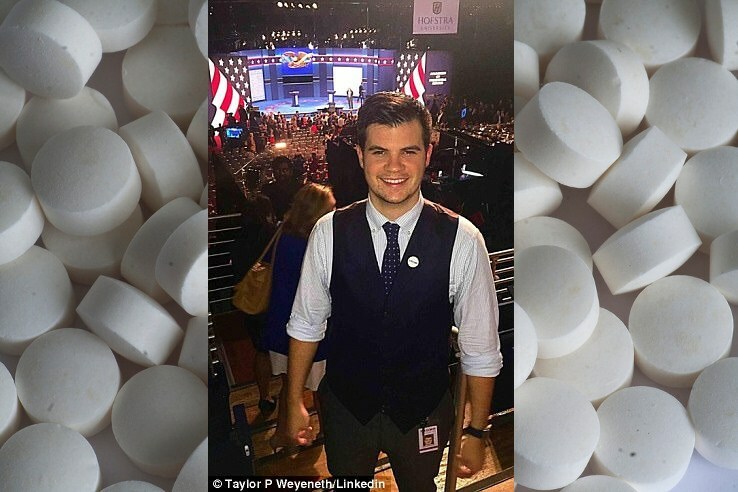 He's a 24-year-old former Trump campaign volunteer whose resume is singularly unimpressive: apart from being a frat brother in good standing at St John's University and organizing a single charity golf tournament, the only real jobs he's ever held were working in his daddy's chia seed factory (which closed when his dad went to jail for illegally processing Mexican steroids) and working as a legal assistant at the New York white shoe law firm of O’Dwyer & Bernstien. But this job was a bit of a mystery, because different versions of Weyeneth's resumes listed different tenures at this firm. However, one of the partners at the firm, Brian O’Dwyer, has clarified the mystery. Weyeneth was fired because he "just didn’t show."